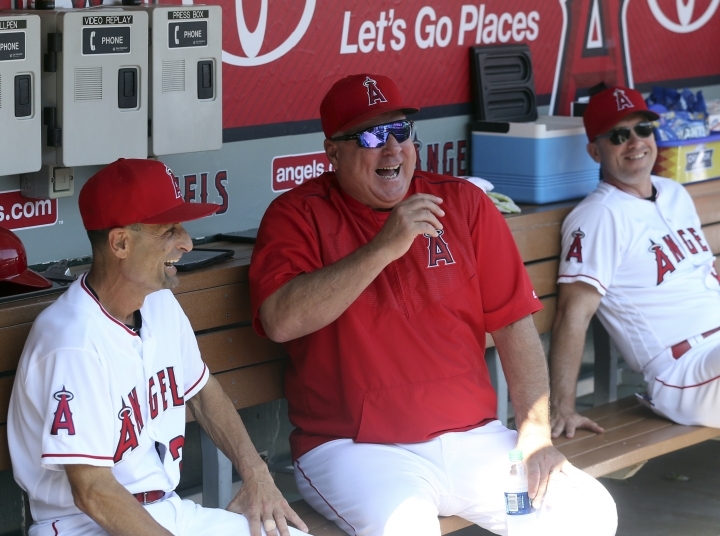 ANAHEIM, Calif. — Mike Scioscia started out smiling in front of the crowded room. It wasn't long, though, before tears glistened in his hazel eyes. Scioscia guided the Angels to the franchise's only World Series title in 2002, starting a stretch of six playoff appearances and five AL West titles in eight years. He finished with a 1,650-1,428 record. His wins are the 18th-most in major league history and the second-most with one team, trailing only Walter Alston's 2,040 with the Dodgers, Scioscia's club during a standout catching career. Scioscia surpassed the 1,599 wins of Tom Lasorda, his playing manager and mentor, and his .536 winning percentage is the best in franchise history. The Angels sent him out a winner, rallying to beat the playoff-bound Oakland Athletics 5-4 on Taylor Ward's two-run, ninth-inning homer. They crowded home plate and jumped up and down in celebration. 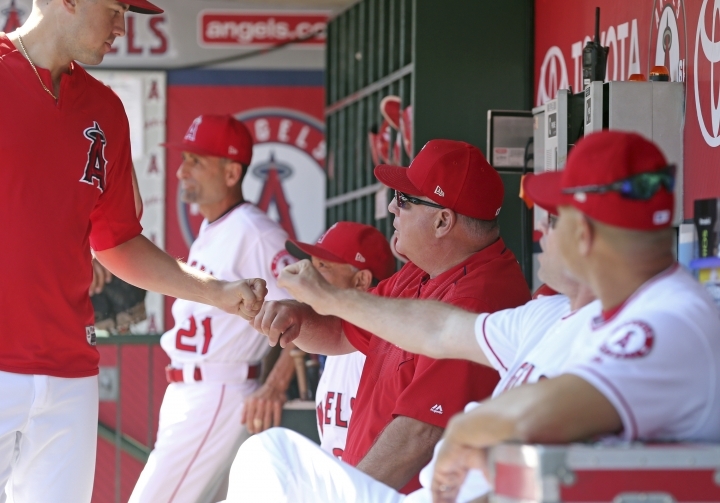 "For Wardy to hit that walk off is icing on the cake for Mike," Angels star Mike Trout said. 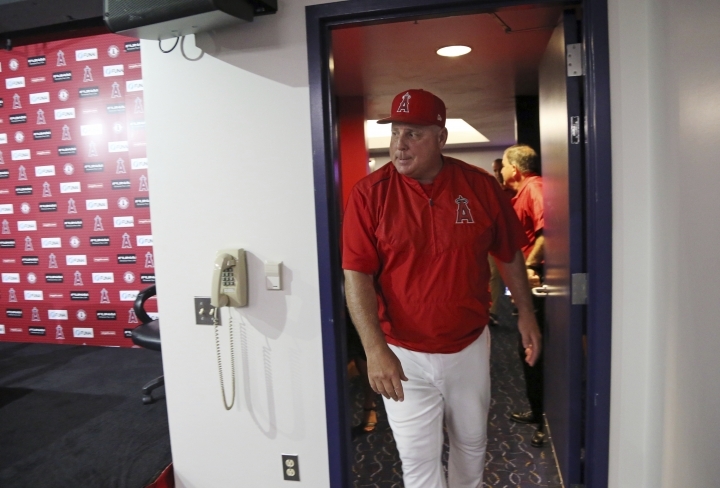 Scioscia was in the final year of his contract and his departure had been expected. He said he talked to his wife, Anne, and had made his decision recently. He turns 60 in November. 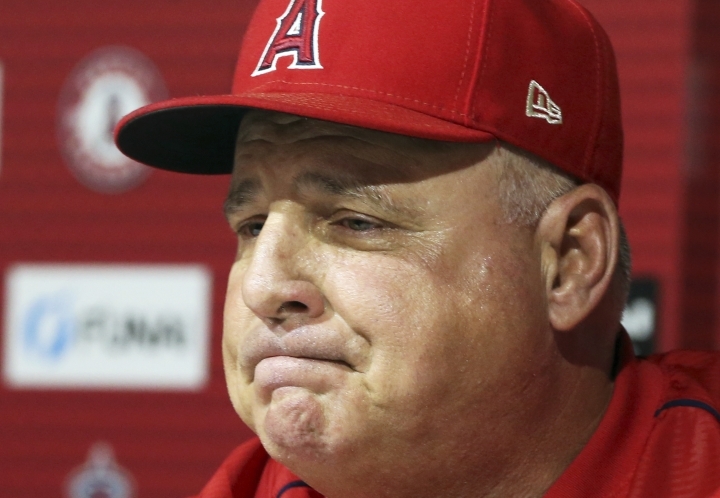 Scioscia deflected questions about the specifics of his departure, repeatedly saying he only wanted to talk about the just-finished game in which he had his coaches handle managerial duties while he watched. "Don't take that off my record," he joked about the victory. Scioscia reiterated recent comments he made indicating that retirement wasn't necessarily in his immediate future. "I have a deep passion for this game. I love it, I love managing, but in this game you never know where or when your next opportunity comes," he said. "If I get another chance, great. If not, I'm going to take the great experience I had here and move forward." Scoscia's 19 consecutive season matched Cap Anson of Chicago's NL team in the 19th century for sixth longest behind Connie Mack with the Philadelphia Athletics (50), John McGraw with the New York Giants (31), Alston (23), Lasorda (21) and Bobby Cox with Atlanta (21). "I just feel he'll manage, if not here, somewhere else," Oakland manager Bob Melvin said before the game. "I think he'll manage until he goes to his grave. I'll tell you one thing, when you manage against Mike Scioscia, you better be ready. He takes every pitch, every inning seriously, even the spring training games." 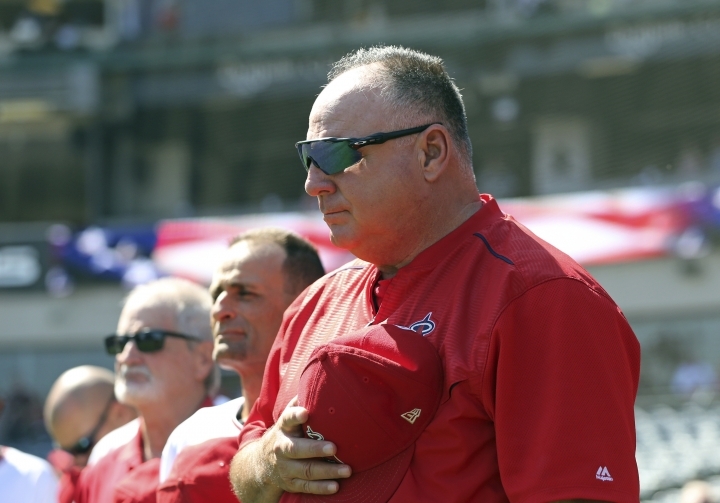 Scioscia thanked his current and former players, coaches and Angels fans. "I'm really happy, guys," he insisted as his voice broke. His wife stood along the wall in the crowded room. 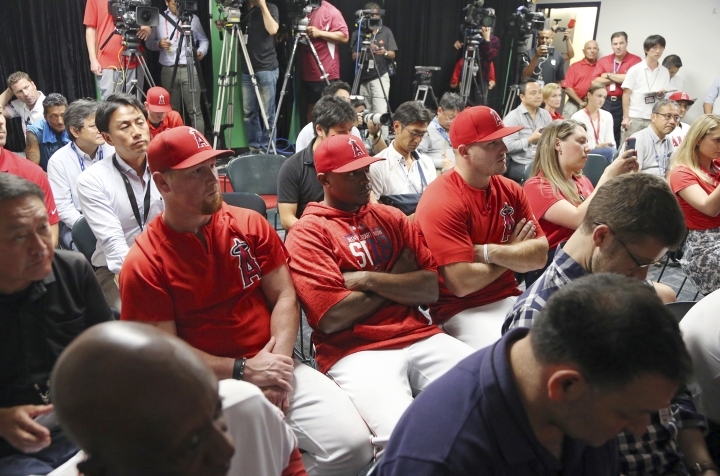 Trout, Kole Calhoun and Justin Upton sat and listened. Before the game, Trout reflected on the only manager he's played for in his eight big-league seasons. "He's so passionate about the game and he wants to win. As a player you want to play for a guy like that," Trout said. "He's made a career of putting guys in a position to succeed. I have complete respect for Mike as a manager and a former player and for the passion he has to win." Scioscia grew up in the Philadelphia area and became a first-round pick by the Dodgers in 1976. He reached the majors in 1980 and spent his entire career in blue, getting 1,131 hits in 1,441 games through 1992 and earning two All-Star game selections as a dependable catcher. He was a coach in the Dodgers' organization before Angels general manager Bill Stoneman tapped him to take over in late 1999. With Joe Maddon as his assistant from the start, the Angels ended a 16-year playoff drought in 2002 as the AL wild card. Former Angel Torii Hunter, Scioscia singled out by Scioscia in post-game comments, said if he ever became a manager he would want to be tutored by Scioscia. "I watched him think outside the box on so many different occasions in the clubhouse and on the field," Hunter said in a statement distributed by the Angels. "He didn't care about the scrutiny and the aftermath that came with his decisions. It was the one he felt he had to make at that crucial moment." "Mike's tenure," the owner said, "that transformed this franchise, and its perception on both local and national levels," Moreno said in his statement. Moreno and general manager Billy Eppler have several options in replacing Scioscia. Former Detroit manager Brad Ausmus is in the team's front office, while Eric Chavez was hired last month as the manager of their Triple-A affiliate in Salt Lake City. Eppler, a former New York Yankees executive, has worked closely with former Yankees manager Joe Girardi and current Angels bench coach Josh Paul.